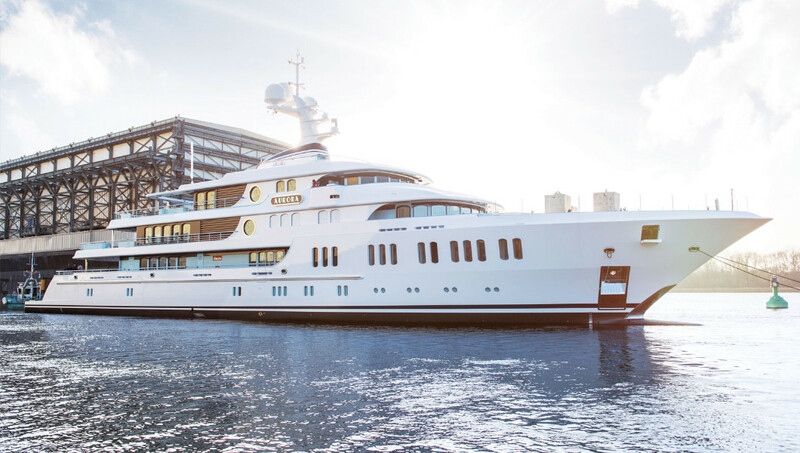 It’s no surprise this superyacht was originally under development as “Project Gatsby” and the turkish builder Numarine’s latest launch is an explorer vessel that will lead guests on discoveries indoor and out. It’s no surprise this superyacht was originally under development as “Project Gatsby”, given its atmosphere of a bygone glamorous era and interiors laden with Art Deco style. 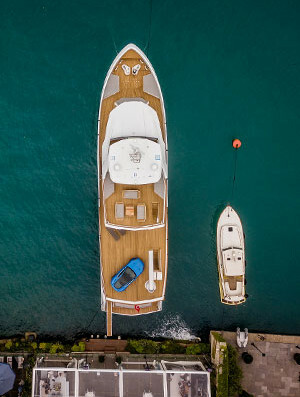 The entirely bespoke design was built to exacting standards, with the owner’s desire to use the yacht for quality family time at the forefront, resulting in a number of spaces both intimate and personal. Influential artists from the early 1900s inspired the owner’s very specific vision for the interiors, with the master suite based on antique artworks, and the other five cabins each boasting individual characteristics. The pièce de résistance, however, is the full-beam sky lounge, a lavish space for basking in the fantastic backdrop of the Mediterranean – where Aurora will be sailing this summer – surrounded by family and friends. But even if you don’t get to experience Aurora from the inside, bystanders catching a glimpse of the moored ship will surely be transported to another time as the exterior’s mahogany and stainless steel recalls the romance of transatlantic liners. 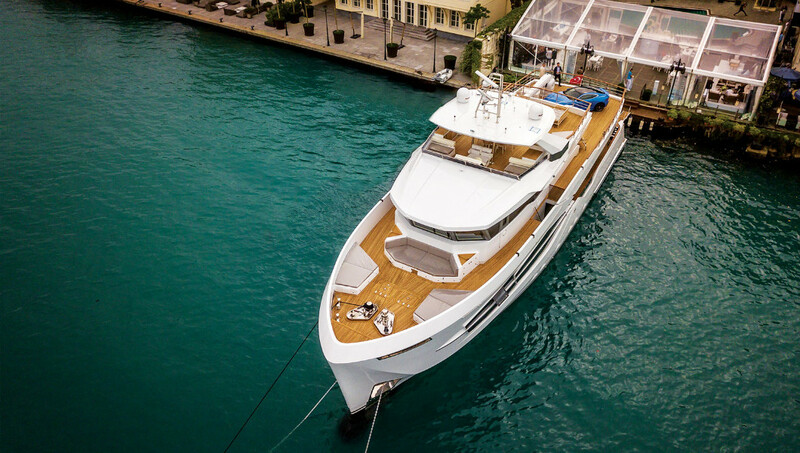 Turkish builder Numarine’s latest launch is an explorer vessel that will lead guests on discoveries indoor and out, thanks to the request from owner Omer Malaz to create a 32-m vessel with the same level of comfort found in a 50-m yacht. Vaunting 330 square metres of living spaces, the innovation to seemingly create additional space where there should be none was made possible by unique internal layouts and customised external spaces crafted by Can Yalman, the mind behind some of Numarine’s most distinctive models. The star of the show is the owner’s cabin with over 40 square metres of space including a walk-in closet and sliding doors that open to the expansive upper deck. Should you be said lucky owner in that cabin stepping out to the upper deck, you’ll find an impressive 129 square metres of leisure space that includes a large sofa area with a bimini and cocktail table, and two capacious sunpad areas. The yet-to-be-named explorer yacht doesn’t just impress with its surprising space; it’s also a feat in silence and smooth sailing, with a significant reduction of noise and vibration sources, so you can appreciate arriving at Earth’s most outstanding destinations without distraction.